Muiris Dan’s pub and accommodation is the ideal location situated in the heart of Dingle town on Ireland’s sout-west coast. 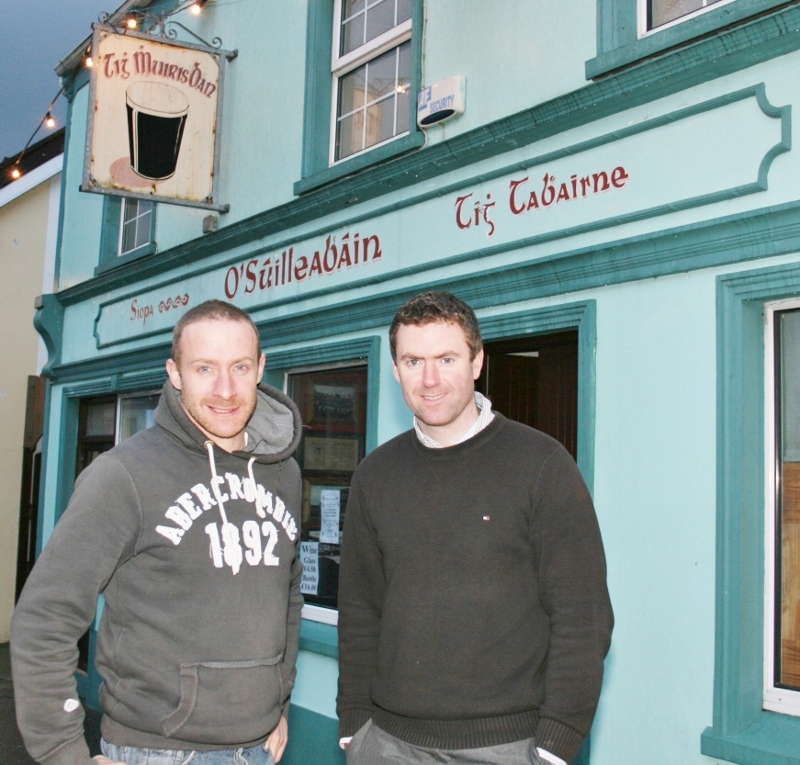 Why not come in and enjoy a pint with Dingle’s most decorated Kerry footballer, five-time All-Ireland medal winner Tommy Griffin or take a stroll around town and enjoy the craic in the many restaurants, pubs and shops. We offer a room only service, but tea and coffee are available in the bar downstairs. Secure bicycle storage is available and bicycle hire is available in a nearby shop. Parking is also available. 14 John Street, Dingle, Co. Kerry, Ireland.